It’s now been more than 10 years since a major hurricane made landfall on the United States – the longest the nation has gone without such a strike since 1851, according NOAA figures — and with the 2015 hurricane season quickly coming to an end, the lack of activity can be attributed to two factors: sheer luck and unconducive conditions, says a Texas A&M University storm expert. Robert Korty, associate professor in the Department of Atmospheric Sciences, says conditions over the past decade have been hurricane-unfriendly in the Atlantic. They include long periods of dry air that hampers potential storm development, wind shear that can also prevent storms from forming, and other factors. “These unfavorable conditions have been widespread during the past three summers in the Atlantic, even while the other parts of the world are seeing record activity,” Korty explains. A recent example would be Hurricane Joaquin, which hammered the Bahamas for several days about two weeks ago and appeared headed for the East Coast, but moved away to the North Atlantic. It killed 34 people and caused historic flooding in South Carolina. With hurricane season ending Nov. 30, and with no Category 3 storm or higher having hit the U.S. since 2005, the trend may continue, but history shows that a storm can still pack a strong punch even if it’s not classified as a major hurricane. “Hurricane Sandy in 2012 is a great example,” he adds. Sandy caused $75 billion in damages and killed 233 people, at least 125 of those in the U.S.
With the presence of a very strong El Niño (a large area of warm water in the central Pacific Ocean that tends to affect weather all over the world), the chances of a strong hurricane affecting the U.S. in upcoming weeks are even lower than usual, Korty says. El Niño years tend to decrease hurricane development in the Atlantic, but not so in the Pacific, where several powerful hurricanes have hit China and other areas in recent months. The odds of a major hurricane hitting the Gulf Coast are now very low, he adds, which is good news for many people who still remember the 2005 season, the most active in history with 28 total storms and seven major hurricanes, including Katrina and Rita. 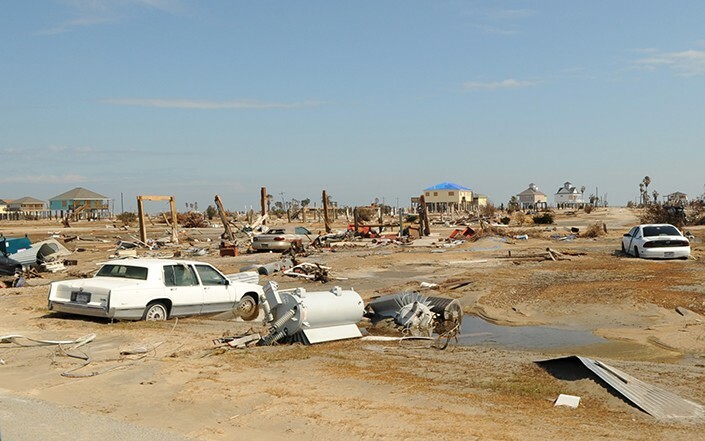 In that year, more than 3,900 people died in the storms that caused $160 billion in damages. More at the College of Geosciences.